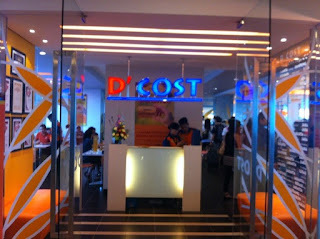 D'COST serves food (especially seafood) is FAST, FRESH, TASTY WARM and the dining room is CLEAN, COOL, COMFORTABLE, with a capacity of hundreds of seats are equipped with cutting-edge automation restaurant with internet telecommunications systems, in order to achieve effective operation and efficient and economical (GRADE A 5). 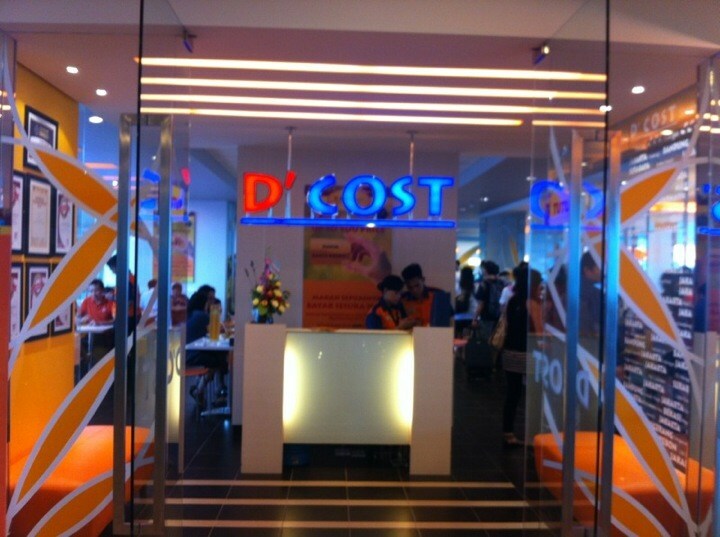 PRICE policies only allow us to determine the price of not more than PRICES OWN MOTHER COOK (PRICE FEET 5) .At first we promote ourselves as innovative, and later voluntarily SATISFIED GUEST who recommend us to friends and relatives. 5 STAR QUALITY - PRICE FEET 5 is the motto at the same time our promise, management get a warning SMS deviation from TAMU and tiered report of management accounting systems, management control these warnings spur corrective action plan to achieve and maintain SUSTAINABLE COMPETITIVE ADVANTAGE. Employees treated as partners, they receive just compensation and a comfortable working environment so that the resulting motivation and a high sense. We enjoyed an abundance of neighborhood our guests in addition to our concern for the Economies of Scale Level lingkungan.Hanya if certain performance terapai effective, efficient and economical, then management obtain parts and last but not least we have to work cleverly that can provide the return on investment to our investors.